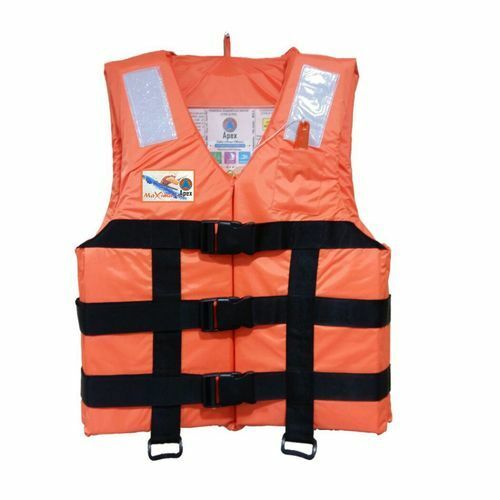 Founded in 1988, Oasis Exports is one of the leading organizations, engaged in manufacturing, wholesaling and supplying of Adult Life Jackets and Children Life Jacket under his own brand name Apex. Our products are enormously well-liked by consumers owing to their long-lasting nature, eye-catchy look, optimum quality and colorfastness. These products are fabricated employing the quality tested material that is bought from industry proficient merchants of market. Apart from this, we have selected an adroit team, who has years of practice of this area. Additionally, to meet the diverse necessities of consumers, experts fabricate these products in diverse sizes and designs. Apart from this, the presented assortment is duly checked against predefined norms of quality in order to deliver a defect-free assortment from our end and to achieve maximum gratification. Furthermore, we offer these products at an inexpensive price structure.